Music abounds in the summertime with Music in the Park. 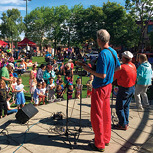 At noon on Wednesdays and Fridays, local musicians play at Peratrovich Park next to the Anchorage Visitor Center. Free. 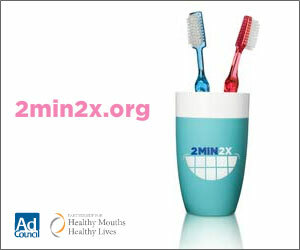 For info, call 279-5650 or visit anchoragedowntown.org. Talk to a park ranger, pick up information on camping, safety and trip-planning, and enjoy interactive exhibits at the Alaska Public Lands Information Center in Anchorage. Kids can become junior rangers and participate in scavenger hunts. Free. For info, visit alaskacenters.gov. Ship Creek is a favorite local spot for watching the salmon run against a backdrop of the Anchorage skyline. This picturesque location is also a wonderful place to watch birds. Visit the nearby William Jack Hernandez Sport Fish Hatchery for a closer look at the fish. Free. Bike the Tony Knowles Coastal Trail. The 11-mile Coastal Trail follows the Anchorage coastline from downtown Anchorage to its present end at Kincaid Park. With beautiful scenery it’s a great bike ride for kids and there are plenty of parks along the way for picnics and rest stops. For info, visit anchoragecoastaltrail.com. Hit the Thunder Bird Falls trail. The one-mile trail is suited for small children (and even strollers) and leads to a roaring waterfall. There’s a viewing platform and boardwalks. For info, visit dnr.alaska.gov/parks/maps/thunderbirdfallsguide.pdf. The most hiked trail In Anchorage, Flattop Mountain is great for hikers of all abilities and offers stunning views of the city and surrounding mountain ranges. Day use parking at any state park trailhead is the same. Free. Parking $5. For info, visit alaska.org/detail/flattop-mountain. Located in south Anch orage, Potter Marsh Bird Sanctuary is described by visitors as “a birder’s delight.” Home to 220+ species of birds, visitors can enjoy a leisurely walk along the 1,150-foot boardwalk. Free. For info, visit adfg.alaska.gov/index.fm?adfg=viewinglocations.pottermarsh. Check out the family-friendly activities at the Eagle River Nature Center, including child-friendly guided summer nature walks. 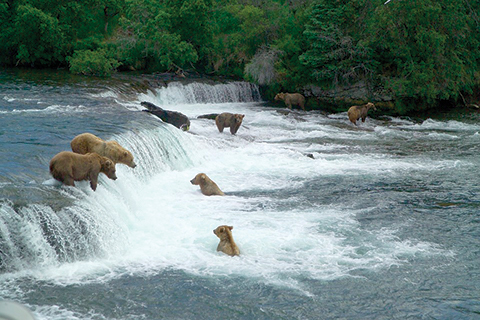 From the viewing deck, see salmon spawning, beavers, moose and more. Free. Parking $5. For info, call 694-2108 or visit ernc.org. Between Anchorage and Girdwood, Indian Valley Mine offers visitors the opportunity to learn gold panning, browse through some of the oldest structures built on the Turnagain Arm, or just sit back and take in the panoramic views. Admission $1. For info, call 444-6898 or visit indianvalleymine.com. Jump aboard the Alaska Live Steamers miniature train. The 7.5-inch gauge railroad in Wasilla, offers train rides every Saturday during the summer from 10 am-4 pm. All children must be accompanied by an adult. Free, $5 suggested donation/person. For info, call 373-6412 or visit alaskalivesteam.org. Join a ranger for a short walk, interpretive talk, or guided tidepooling to learn more about the area’s marine life at the Islands & Oceans Visitor Center. View and interact with 3D recreations of wildlife, view interactive exhibits on marine life, and pick up a Birding Map & Hotspots Guide to continue wildlife viewing outside the center. Free. For info, visit fws.gov/refuge/alaska_maritime/visit/visitor_center. Stroll along Bishop’s Beach in Homer, a great family beach with lots of area to walk the dog (and kid!) and enjoy sunsets. Fire up one of the BBQ stations along the shoreline and have a picnic. Tip: Check how high the tides will be to ensure a safe return. Free parking and restrooms. For info, visit cityofhomer-ak.gov/recreation/bishops-beach. With the huge tidal ranges of Kachemak Bay, Homer is the perfect place to explore Alaska’s amazing tide pool creatures. Bring a pair of rubber boots! To help ID these creatures, visit the Center for Alaskan Coastal Studies. Free. For more info, call 235-6667 or visit akcoastalstudies.org. At the Pratt Museum, every Tuesday and Friday at 4 pm, the public is invited to help feed the sea creatures in the aquaria. Fish feeding is fun, free and all are welcome. For info, call 235-8635 or visit prattmuseum.org. Get gorgeous glacier views without the cost of flying or boating in by taking a roadtrip to the Kenai Fjords National Park and hit the trail to Exit Glacier (just a 10-15 minute drive out of Seward). Ranger-led walks to the edge of the glacier are offered four times a day during the summer – no reservations required. Longer guided hikes to the Harding Icefield (gaining 3,500 ft in 4.1 miles) take place on Saturdays in July and August. Free. For info, visit nps.gov/kefj. At the Visitor Center in Denali National Park, hop on the free bus to ride over to sled dog kennels to meet the adorable pups and see the sled dog demonstrations. Pick up a free Denali Discovery Pack and/or Junior Ranger Activity Guide and take some scenic short hikes (including ranger-led hikes), and the Denali Junior Ranger Program. Junior Ranger Guides are available for ages 4 and older. Explore the exhibits at the nearby Murie Science and Learning Center. For info, call 683-9532 or visit nps.gov/dena. Visit Pioneer Park, Alaska’s only historic theme park. There is no admission fee however some attractions and activities have a small fee. Attractions include a train that meanders through the park, mini-golf, a carousel, food vendors, a playground and free daily outdoor concerts at 7 pm from June to August. Visit old.fnsb.us/parksandrecreation/pioneerpark. Take a guided nature walk at Creamer’s Field Migratory Waterfowl Refuge, which has almost 2,200 acres of fields, woods and wetlands. You’ll also see the farmhouse and barn where Charlie and Anna Creamer had the most successful dairy in interior Alaska. Free. Visit creamersfield.org for a schedule. Kids of all ages can enjoy a free, self-directed I Spy Scavenger Hunt at the Morris Thompson Cultural and Visitors Center in Fairbanks. The center is open 7 days a week year-round. Summer hours are 8 am-9 pm. 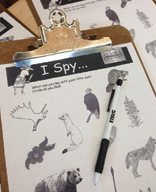 Check with the rangers at the Alaska Public Lands Information counter for your own I Spy worksheet, and see what you can spy with your little eye. Free. Visit morristhompsoncenter.org. Take a hike along Rock Creek Trail in Healy. This lightly trafficked, fairly flat 4.5-mile trail is a great way for a family with older hikers to get views of Denali. Comb the soft sands at Savikko Park, also known as Sandy Beach. Throw a ball around at one of the parks, use the playground, check out tide pools created by former mine tailings or explore the remnants of the historic Treadwell gold mine on the beach or on the trails in the forest. Free. For info, visit juneau.org/parkrec/facilities/douglas. Located on Glacier Highway, the Marie Drake Planetarium is a unique Juneau resource. It models the sky anytime, even when the weather is miserable. It has a 30 ft dome ceiling and is equipped with many projectors in addition to the stars and planets. Programs are presented throughout the year. Free. For info, visit mariedrakeplanetarium.org. Walk along the Petroglyph Beach in Wrangell to see some of the best surviving examples of native artistic expression: petroglyphs. Here, you can spot over 40 of these mysterious petroglyphs. Make rubbings of the replica petroglyphs and speculate with your kids about what they really mean. Free. For info, visit wrangell.com/visitorservices/petroglyph-beach-state-historic-park. The Alaska Dept. of Fish & Game stocks many lakes throughout Alaska, increasing your kids’ chances of taking home their very own catch. Jewel Lake in Anchorage, for example, is stocked with Chinook salmon, rainbow trout and Arctic char. Don’t miss the Kid’s Pink Salmon Derby in Valdez on July 21. This one-day fishing tournament for kids age 5-16 is free and the participants get a free t-shirt and are invited to a free family barbecue. Visit valdezfishderbies.com/kids-derby. Explore Alaska in a high-tech adventure game using GPS-enabled devices and apps to navigate and find a hidden geocache. Treasure hunting is alive and well with geocaching. Use your GPS or smartphone to find fun clues left by visitors and locals before you, then add your own clues to the adventure. The Anchorage Log Cabin Information Center offers a geocaching guide. Kincaid Park and the BLM Campbell Tract are great locations for families to start geocaching. For a full list of Alaska caches, visit geocaching.com. For more info on local geocaching events, visit geocachealaska.org. Regal’s Summer Movie Express runs for nine weeks with select titles playing on Tuesdays and Wednesdays throughout the summer. The program starts on May 29 at the Regal Tikahtnu Stadium in Anchorage and at the Regal Goldstream Stadium in Fairbanks. Admission to these films is only $1 and a portion of the proceeds goes to the Will Rogers Institute. 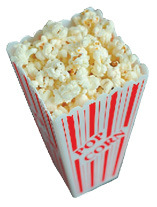 For a schedule, visit regmovies.com/movies/summer-movie-express#alaska. Go for a swim at Goose Lake, kayak on Eklutna Lake, jet ski on Big Lake, canoe and camp at Nancy Lake or picnic at Lake Hood and watch the planes take off at the world’s largest and busiest floatplane harbor. Some hot spots include Chugach State Park, Denali National Park, Denali State Park, Chena River State Recreation Area, even just around Anchorage, such as Flattop Mountain Trail. Be sure to avoid all white berries in Alaska – they’re all poisonous. The most poisonous berry in Alaska is the baneberry, which has white or red berries - look for a black spot on the red berry. Alaska’s public libraries will be sponsoring statewide summer reading programs for kids, teens and adults. Stop in at any library branch or check out your local library’s website for more details. The first Saturday of each month between 9 am and noon, Home Depot hosts Kids Workshops. 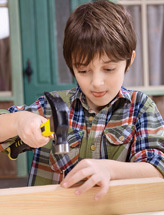 Designed for kids 5 to 12, these free workshops teach do-it-yourself skills and tool safety, while instilling a sense of accomplishment. Pick your local store at homedepot.com/workshops/#change_store and register! Free. Disc golf is played much like traditional golf but instead of a ball and clubs, players use a flying disc. 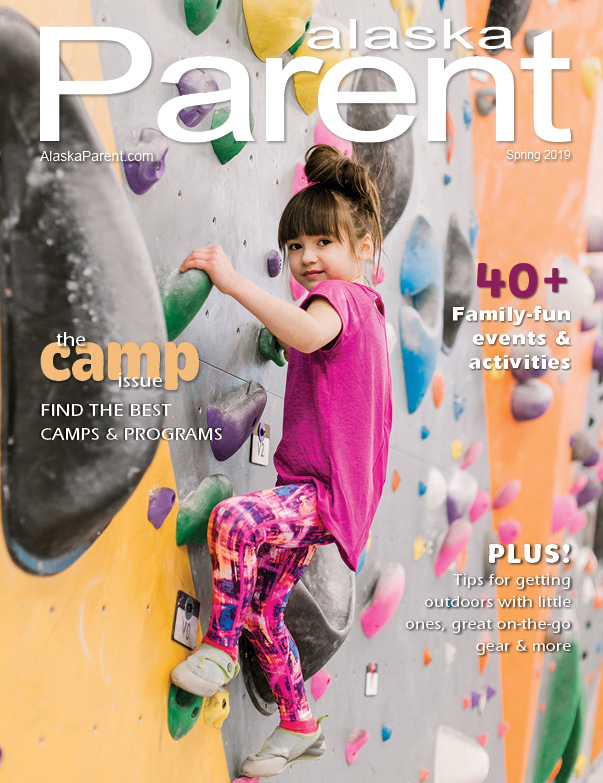 Family-friendly courses include: UAF North Campus and Birch Hill Disc Golf Course (DGC) in Fairbanks; Alcantra DGC, Wasilla; and Hanshew Middle School and Service High School in Anchorage. Hilltop Ski Area (hilltopskiarea.org/discgolf) has a new 9-hole course intended for kids as well as a full 18-hole course. The daily fee is $5 and discs are available. For a full list of Alaska courses, visit discgolfscene.com/courses. 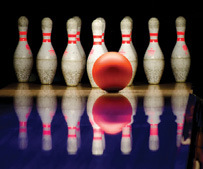 Go bowling – for free! See paragliders off the mountain in Girdwood near Alyeska Resort. June through September, paragliders soar from 10 am-10 pm. Other paragliding hot spots include Kincaid Park, Hatcher Pass in the Mat-Su Valley and Harding Lake, Fairbanks.